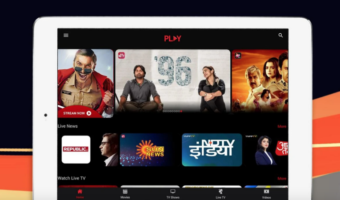 App based video service provider nexGTV has roped in former Saavn executive Abhesh Verma as its Chief Operating Officer (COO). In his new role at nexGTV, Verma will be spearheading executive decision-making and long-term strategic planning for the organisation. “His in-depth practical proficiency in the digital entertainment sector is one of the prime reasons why he has been chosen to spearhead nexGTV at this critical juncture of its business journey. 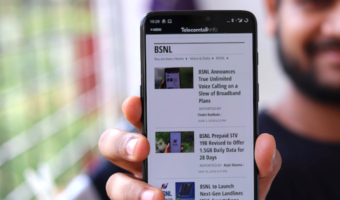 We are confident that his on-boarding will help spur nexGTV into its next era of growth,” G.D. Singh, Director & CEO, Digivive Services, said in a statement. He has over 16 years of experience across several industries such as entertainment, e-commerce, SEO, advertisement, Venture Capital and Real Estate. “Having worked in the digital entertainment and media industry for so long, I wanted to be associated with a novel idea that can allow me to optimally leverage the insights I’ve gained during my career so far. Joining nexGTV gives me a chance to do exactly that,” Verma said. Verma was instrumental in transforming Saavn’s business approach from a B2B to B2C model. By deploying and managing multiple revenue streams including online ad sales and solutions teams for the platform, Verma played a vital role in building up nearly 95 percent of Saavn’s revenue from scratch. He also oversaw the integration of new site acquisitions into the Saavn Interactive aegis, and was also responsible for end-to-end management and integration of new features. Verma possesses Bachelors in Mechanical Engineering from Pune University and an MBA from Maharishi University of Management, Fairfield, Iowa. nexGTV picture quality is too bad even in hd channels also. So its just a waste of time and money. It can never be an alternative of watching tv.